We all know that the Baltic Sea is our common sea, our common treasure. Nine countries share the Baltic Sea coastline and more than 80 million people inhabit its catchment area. With an area of more than 400 000 square kilometers, it’s one of the planets largest bodies of brackish water. Yet it’s a fragile environment, with a history of pollution, eutrophication and increasing amounts of marine litter. Since the water flows without stopping for any national borders or jurisdictions, it’s also our common problem to solve. Marine litter is a cross-sectoral problem, and tackling it requires changes in behaviour and production and consumption patterns, technical solutions and innovations, adequate waste management both on land and at sea, and appropriate wastewater and storm water systems. Since a majority of the marine litter has its origin on land, it’s crucial to address both sources and pathways. Monitoring the streams of plastic can give us the knowledge to find the best measures and the right places to apply them. This is were BLASTIC has a great potential to contribute. 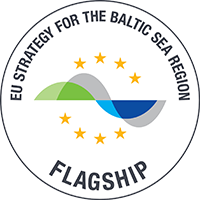 Cooperation between countries and cities around the Baltic Sea is crucial to address marine litter, and can be a common ground to solve other issues as well. What this means in reality is that we at SwAM need to gather knowledge, to be able to have a comprehensive view. We also need a way to communicate what we already know and to prompt for solutions. One way of doing that is to be connected to projects and networks, taking in what has been investigated and sharing information to others. This is why we are grateful for projects like BLASTIC. When actors from different countries, cities and sectors meet there’s a huge power in the gathered possibilities, and not to mention the power of inspiration! 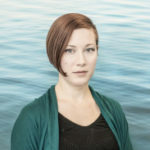 Åsa Lindskog works as an Officer at The Swedish Agency for Marine and Water Management (Havs- och Vattenmyndigheten), at the unit for Maritime Spatial Planning and Maritime Affairs in the Department for Marine and Water Management. Frida Åberg works as an analyst at The Swedish Agency for Marine and Water Management (Havs- och Vattenmyndigheten), at the unit for Maritime Spatial Planning and Maritime Affairs in the Department for Marine and Water Management.